Succeeding in a competitive period for the taxi insurance market, TaxiFair has continued its tradition of innovation by partnering with Camera Telematics. The quality of software and support in addition to the superior Street Angel video event data recorder system have translated into a competitive edge for the specialist insurance provider. Since initial partnership in 2014, TaxiFair has continued to expand its use of the Camera Telematics produced hardware and associated support. By offering Street Angel as part of its insurance packages, TaxiFair clients are benefiting from improvements to road safety, driver behaviour, faster FNOL (First Notification of Loss) processes and reduced yearly premiums. The features of the Street Angel – such as its SD-card free encrypted data storage and remote access – allow fleets of any size to better address and reduce insurance costs by improving driver behaviour, vehicle maintenance and FNOL (First Notification of Loss) processes. 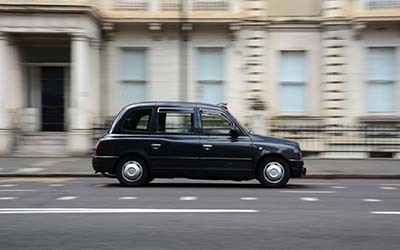 TaxiFair is dedicated solely to the UK & Ireland taxi insurance sector. Defined by a proactive and innovative approach to their service, the company continues to expand its client-base and embrace new technology and processes related to vehicle insurance.